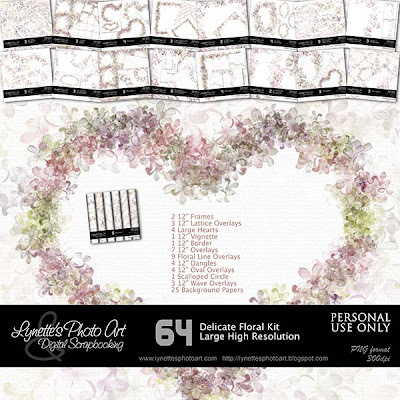 Soft and feminine and very special, there are 64 pieces to my Delicate Floral Kit, including 25 pages - enough to make a book! $4.99 in my PayPal store. Click the image to enlarge. Click "Buy It Now" button below to purchase it. I'm giving you one of the background papers today so you can see how sweet this kit is.